emerge from the Rivers state axis of the oil rich region. 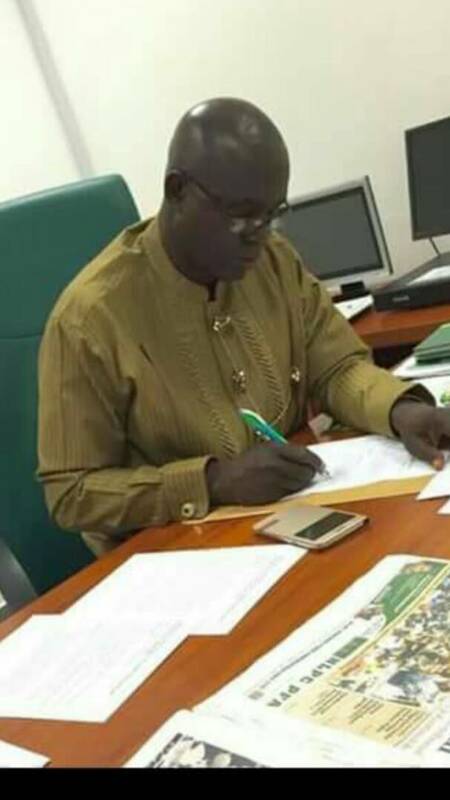 The 54yr old Tai born politician holds a Bs.c in chemistry,MSc in science education and a Phd in science education from the university of port Harcourt, Rivers. The ever smiling, humble and gentle servant leader is not like your regular Nigerian Politician, as he is an advocate of a free and fair elections. He doesn't just preach peace and love, he literally practices peace and exudes love and humility that is unconventional and uncommon for today's Nigerian politicians. A dedicated and active member and stakeholder of the Peoples Democratic Party (PDP). Dr. Nbina has always pledged his unwavering support to the Barrister Nyesom Wike led Rivers State Government. A party loyalist per excellence and a true gentleman. 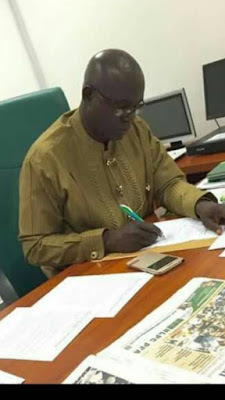 After serving as a one term Tai LGA chairman, Dr Nbina decided to return to the classroom as a lecturer in the department of educational science (Chemistry)at the university of Port Harcourt where he had a successful career as a Lecturer loved by his students,a role model and mentor to his numerous students. 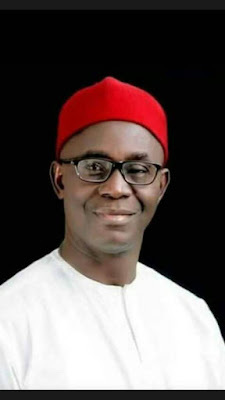 Having set an unprecedented and enviable record as the Tai council boss during his previous stint at Saakpenwa( Tai council HQ) Dr. Nbina was called and prevailed upon by his people to contest for the office of the federal legislature representing the good people of Tai/Eleme/Oyigbo federal constituency in the federal house of representatives in the build up to the 2015 general elections. As a servant leader and a man that loves his people, Dr. Nbina had to resign from his lucrative post as a senior lecturer in the department of chemistry,university of port Harcourt just to serve his people one more time. After successfully winning the keenly contested elections, Dr.Nbina moved to Abuja to Carry out the legislative duty of ably and reliably representing his people, but his promising journey was cut short after a series of litigations and dubious rerun elections. There's no doubt that both him and his constituency were denied of a mandate that was bound to bring both infrastructural and human capacity development to the Tai/Eleme/Oyigbo federal constituency. When the timetable for the Rivers state council elections was announced, Dr. Jacobson Nbina as a humble servant leader once again presented himself to serve as the council chairman of Tai local government area, this brought joy and wild jubilations across the width and breadth of Tai Local government council as Dr. Nbina is well loved and respected by not just the Tai people but across Ogoni land and Rivers State at large. Using the social media as their propaganda tool,they recruited some willing lazy youths to start a cheap and babyish campaign of mudslinging and tantrums throwing just to dent the ever soaring and revere reputation of Dr Nbina. Maybe they are forgetting that it takes courage and humility for a man of his calibre to be vying for the post of a LGA chairman when he could have easily gotten more in terms of political appointment from his long term friend and party leader, the executive Governor of Rivers State, Chief Barrister Ezenwo Nyesom Wike whom he is very close to. But Dr. Nbina chosed to offer his services to his people once again, to consolidate on his previous achievement at Saakpenwa. Dr. Nbina is just there to serve his Tai people whom he has great love for. √√Dr. Nbina has the constitutional right to contest for any elective position in the country. √√Dr.Nbina did just one term previously as a local council boss and is very much qualified and eligible to come for a second term, no matter his recent political journey. The constitution is his backing. √√Dr. 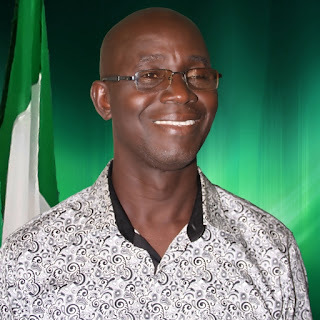 Nbina is the most educated and qualified politician in Tai LGA. √√Dr. Nbina's experience and expertise in leadership is what Tai needs at this point in time, as it will only bring relative peace and massive infrastructural development to the good people of the LGA. √√Dr. Nbina is a youth friendly leader that believes in human capacity development, I believe his government will invest massively in the empowerment of youths in the LGA. √√Dr. Nbina is well loved and respected by his people, his sincerity and humility as well as his incorruptible nature has endeared him to millions of people across the country. 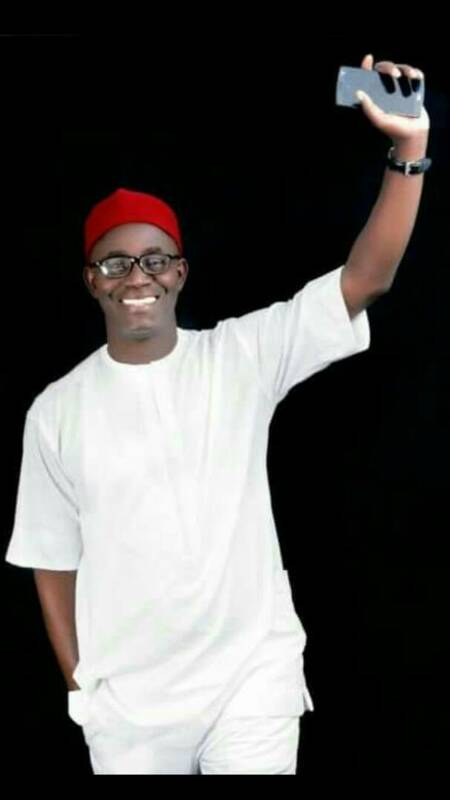 The people of Tai LGA should be grateful to have Dr. Nbina as their LGA chairman as he currently stand out among the crop of incoming LGA chairmen in the state, Dr .Jacobson is head and shoulders above them all and the good people of Tai should be proud of their incoming LGA chairman . The primary elections is over and it's time to bridge the gap and work together to move Tai LGA forward.